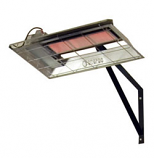 If you are in the market for a commercial garage heaters that fits comfortably in garages, warehouses and other hard to heat areas we think you’ll love what you find here. Our website is a valued resource for business heating clients, including workshop heaters and warehouse heating options by offering natural gas heaters, propane heaters, electric heaters and more. We know you are committed to the comfort and safety of your employees, and our garage and warehouse heaters can keep these areas warm and comfortable. Furthermore, all of our commercial garage heating units are listed at extremely competitive prices. Spend even a little time on our website and you will see our commitment to affordability firsthand, as well as our commitment to providing a website that is convenient to use and easy to order from. Turn up the heat in your commercial garage with our help. We have developed a reputation as a go-to company for those in the market for commercial garage heating, including workshop heaters and warehouse heating units, and with good reason. Warming things up where people work is what we are all about, and nobody does it better in terms of the state-of-the-art products we make available on our website. Is your garage, warehouse or industrial facility prepared for the cold winter months? Are your employees enduring frigid temperatures that may be affecting their productivity or health? Our space heaters can fit within virtually any commercial space, and offer a level of heating efficiency that will take the chill from the air and replace it with something far more comfortable. We make ordering and shipping quick and easy. You have come to the right place for the very best in commercial garage heating, including workshop heaters and warehouse heating units!